Plastic surgery is not a commodity. To a large extent, the cosmetic results you can achieve and your happiness with the experience, depend on the surgeon you choose. 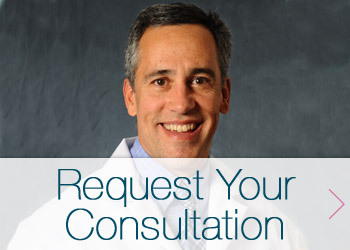 You deserve a dedicated surgeon who can give you personal attention in a professional atmosphere. When looking for a Saratoga Springs, Glens Falls or Lake George cosmetic plastic surgeon or hand specialist, consider Juan C. Garcia, MD, FACS at Garcia Plastic and Hand Surgery. Board Certified by the American Board of Plastic Surgery, Dr. Garcia received his Bachelor of Arts degree from the University of Pennsylvania before entering medical school at Jefferson Medical College in Philadelphia. During medical school, he was a member of the Hobart Amory Hare Honor Medical Society and the Gibbon Surgical Society. After graduating from medical school, Dr. Garcia completed a general surgery residency at the University of Connecticut. During his residency at the University of Connecticut, Dr. Garcia also spent two years as a Surgery Research Fellow at Hartford Hospital in Hartford, Connecticut. He subsequently completed his plastic surgery residency at Vanderbilt University in Nashville, Tennessee. From 2000-2001, he returned to Hartford to complete a hand surgery fellowship. Dr. Garcia is a five-time recipient of the Best Cosmetic Surgeon honor from the Post-Star’s Best of the Region Readers’ Awards. He received this recognition in 2008, 2010, 2011, 2012 and 2013. Dr. Garcia practiced medicine in New Jersey from 2001-2003. In 2002, he received board certification from the American Board of Plastic Surgery. Dr. Garcia has been practicing plastic surgery in New York since 2003. Garcia Plastic Surgery, founded in Glens Falls in January 2006, offers a wide assortment of cosmetic and reconstructive surgery and medical spa options. As Chairman of the Division of Plastic Surgery at Glens Falls Hospital, Dr. Garcia has quickly become a recognized member of the local surgical community. He is a fellow of the American College of Surgeons, and a member of the American Society of Plastic Surgeons and the J.B. Lynch Society.